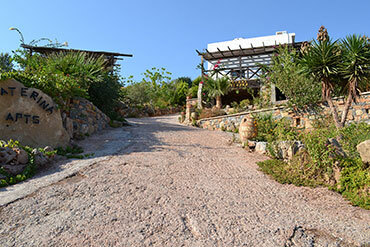 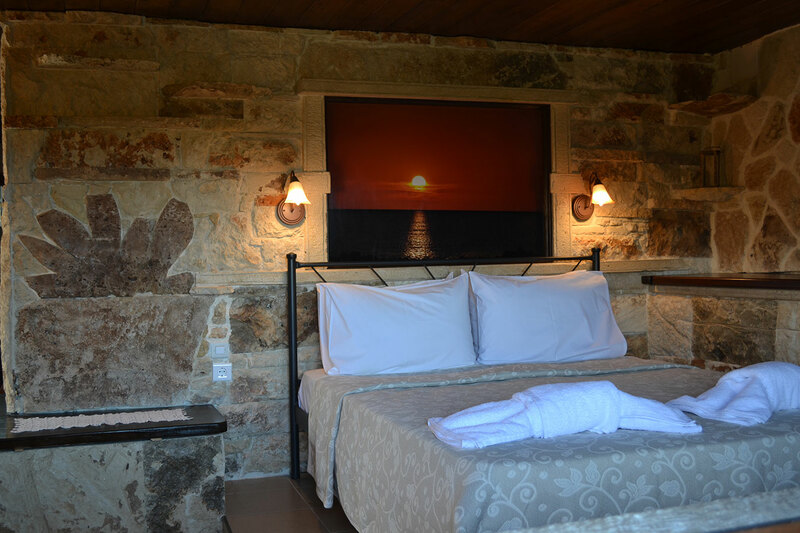 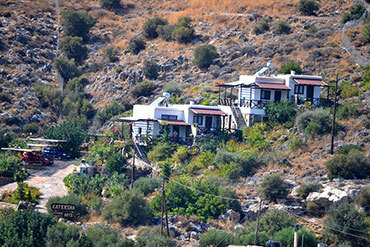 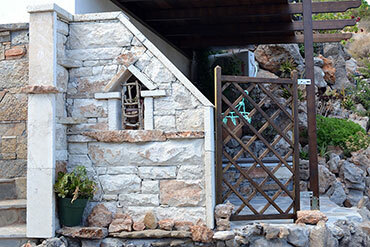 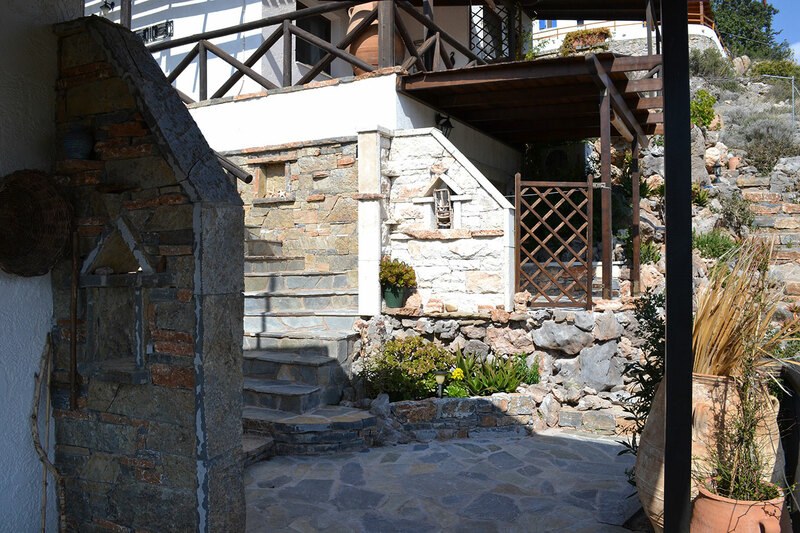 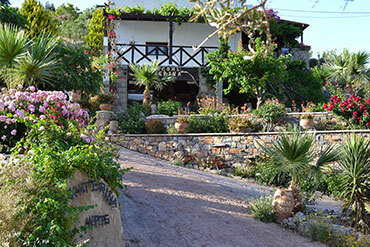 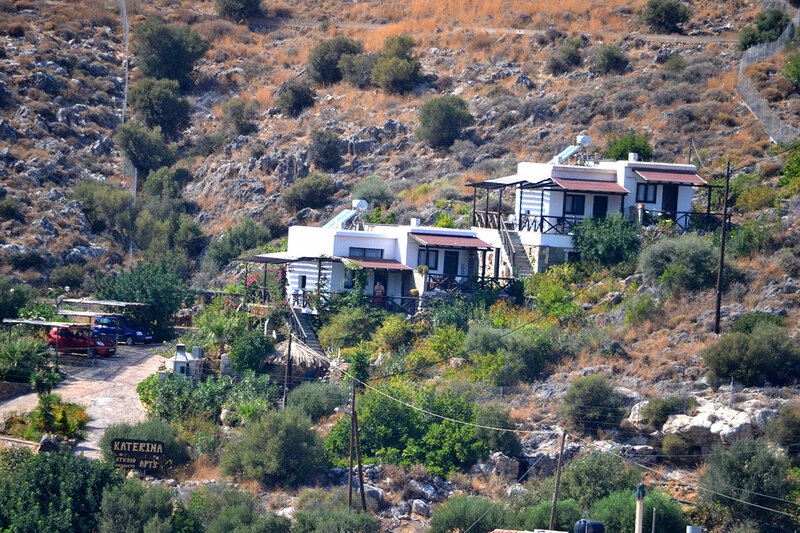 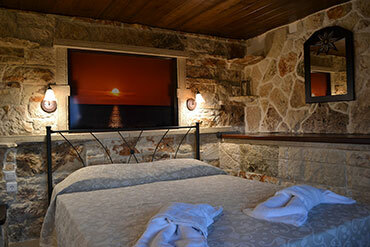 It is a brand new small complex located on the hillside, that overlooks the entrance of the "Gorge of the Deads" in Kato Zakros. 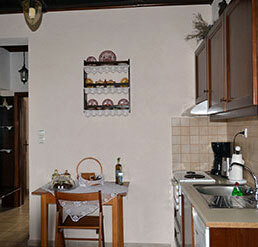 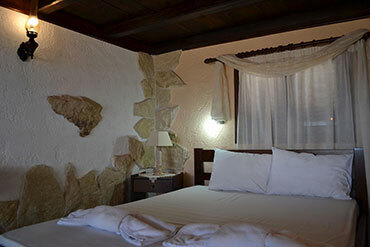 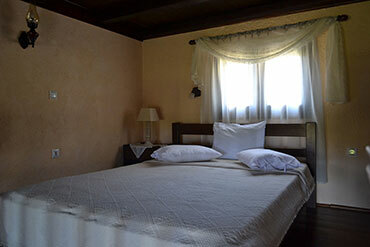 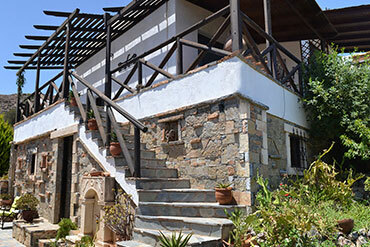 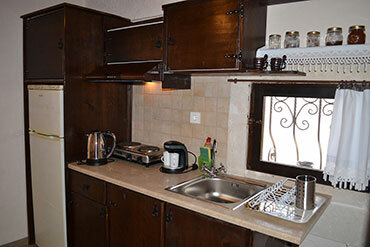 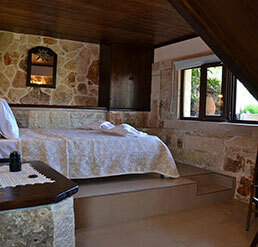 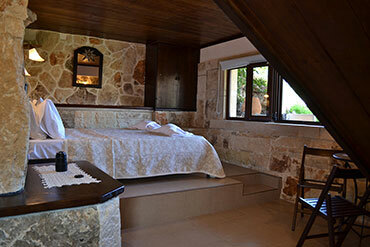 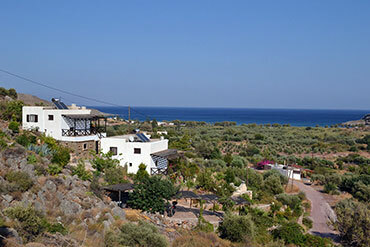 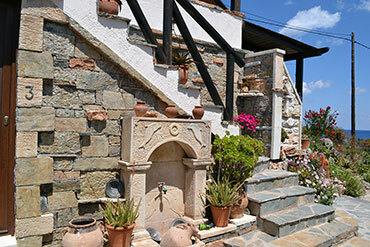 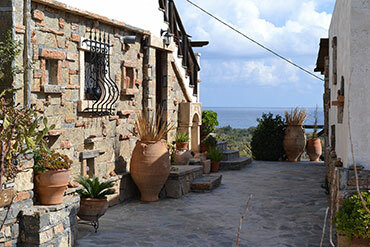 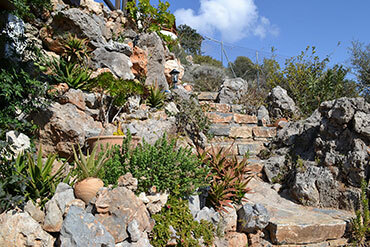 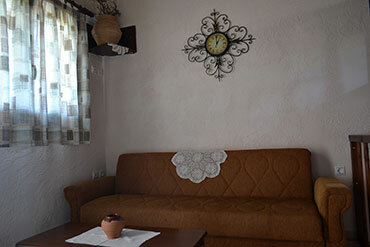 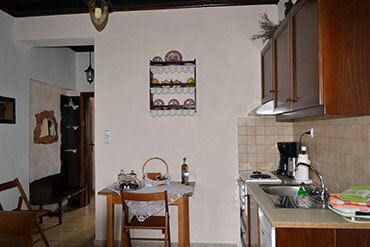 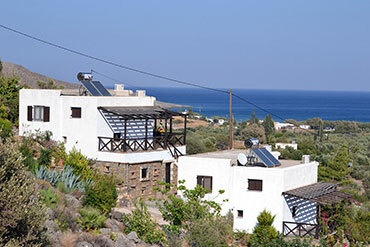 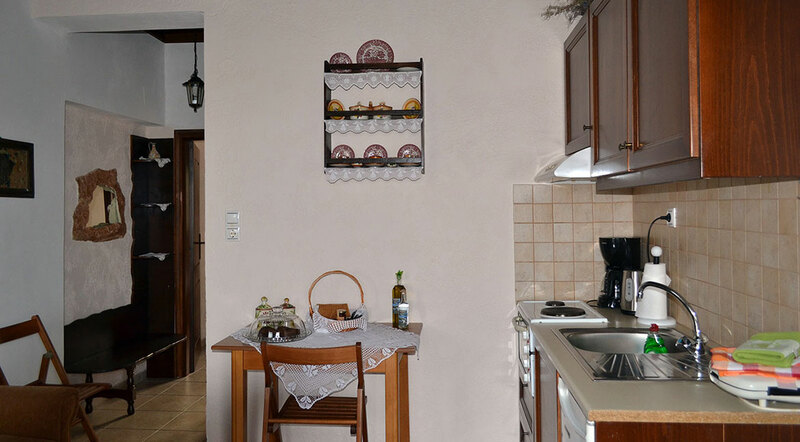 The complex consists of two maisonettes and two apartments with a fully equiped kitchen. 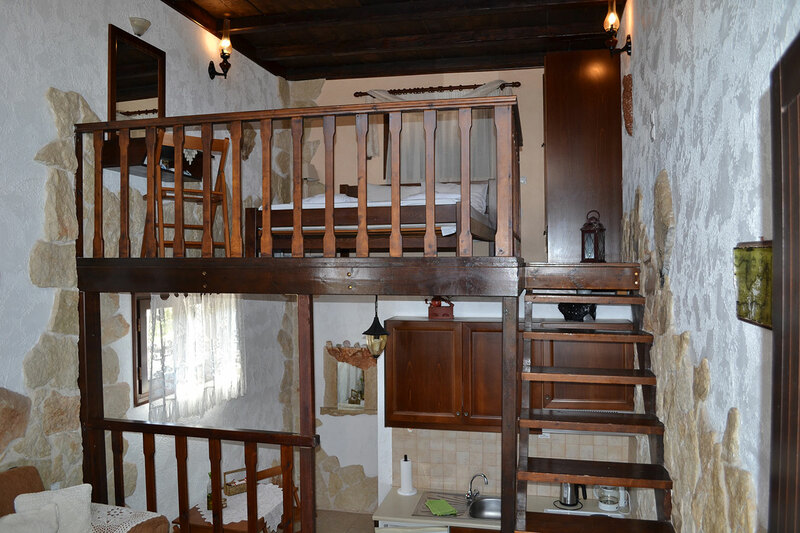 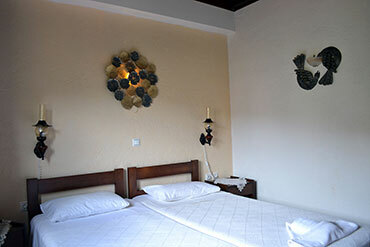 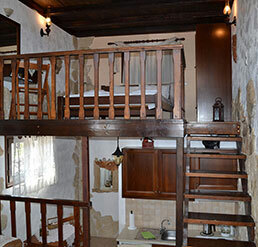 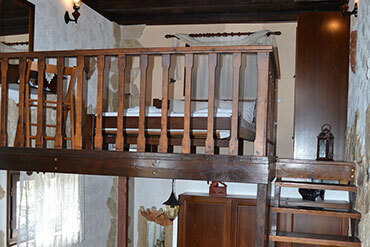 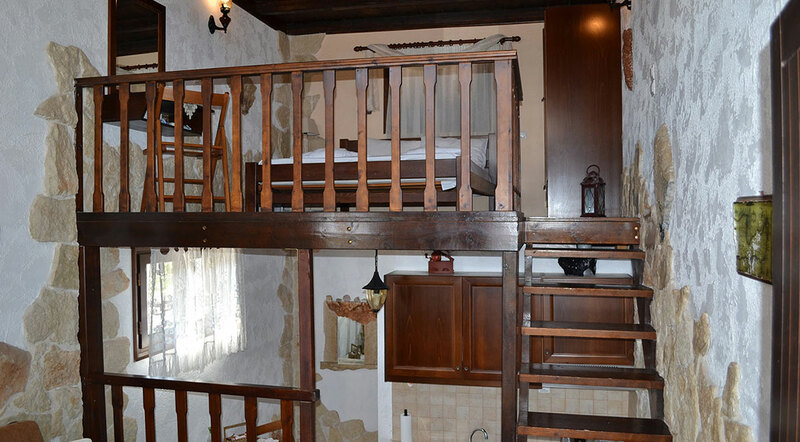 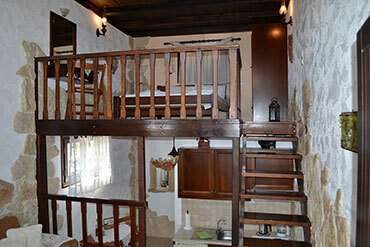 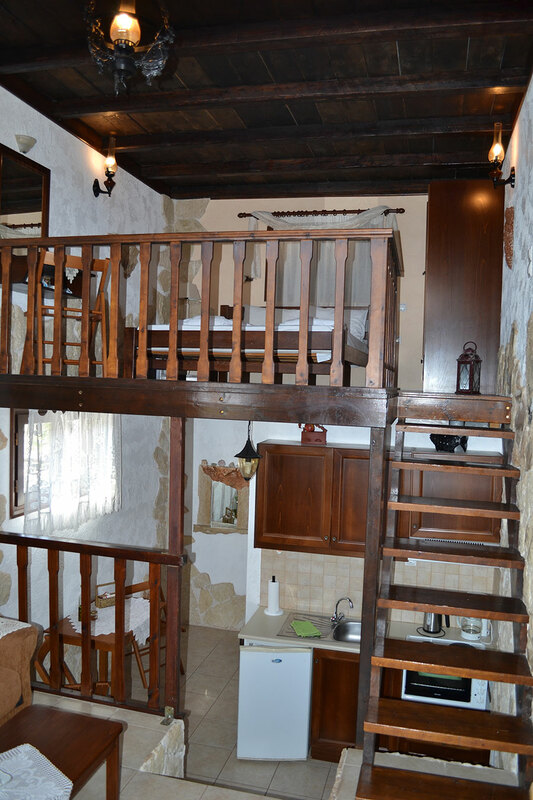 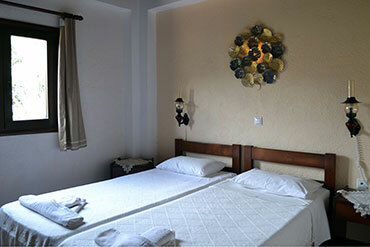 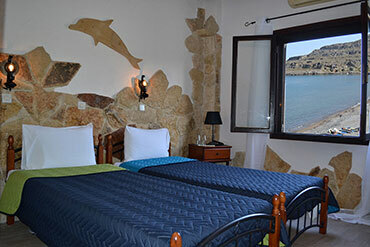 Each one can accommodate 2 - 4 people (Double Bed + Single Bed + Sofa Bed). 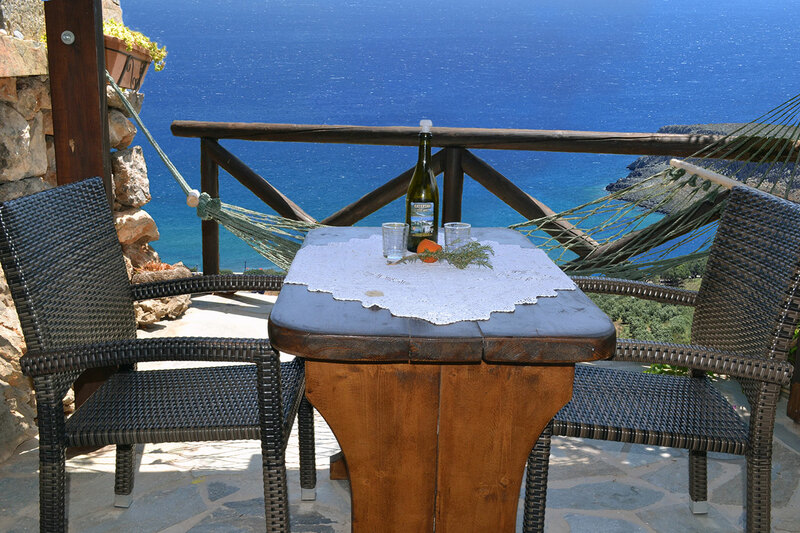 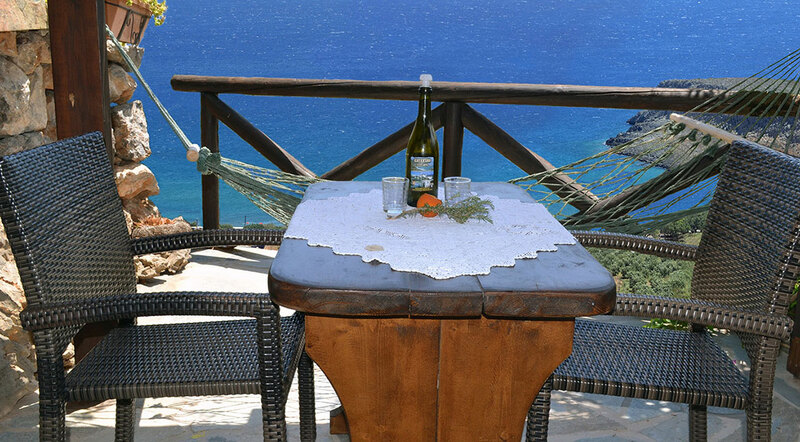 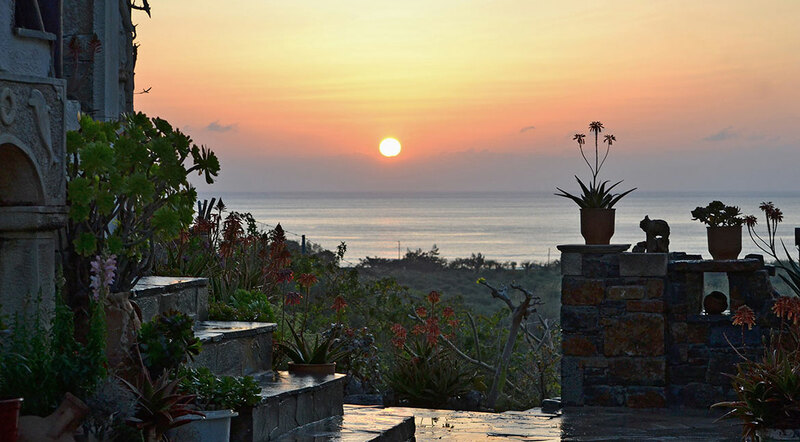 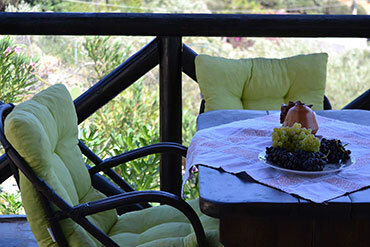 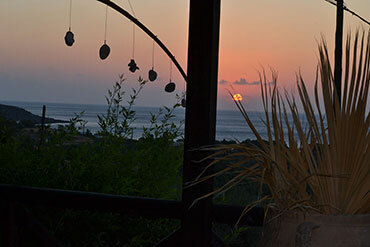 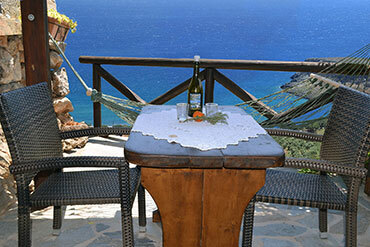 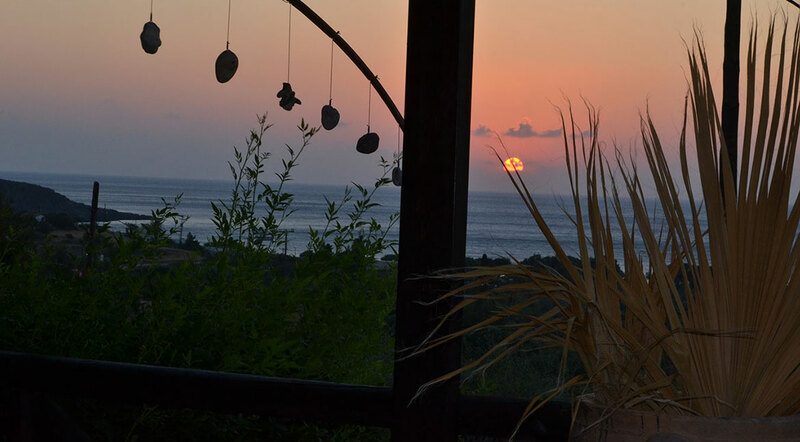 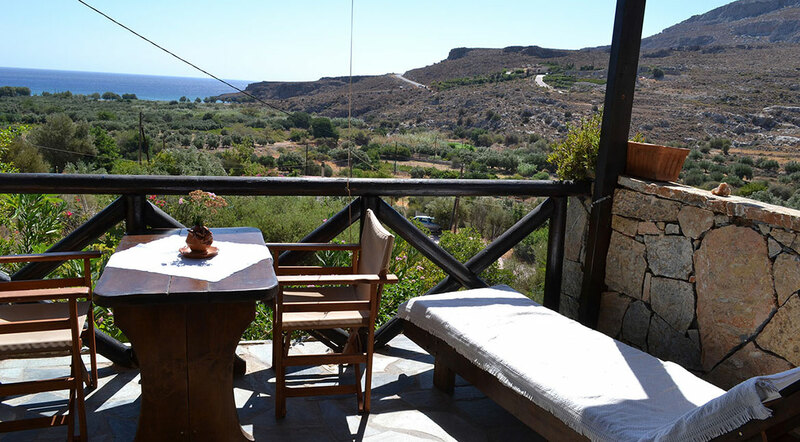 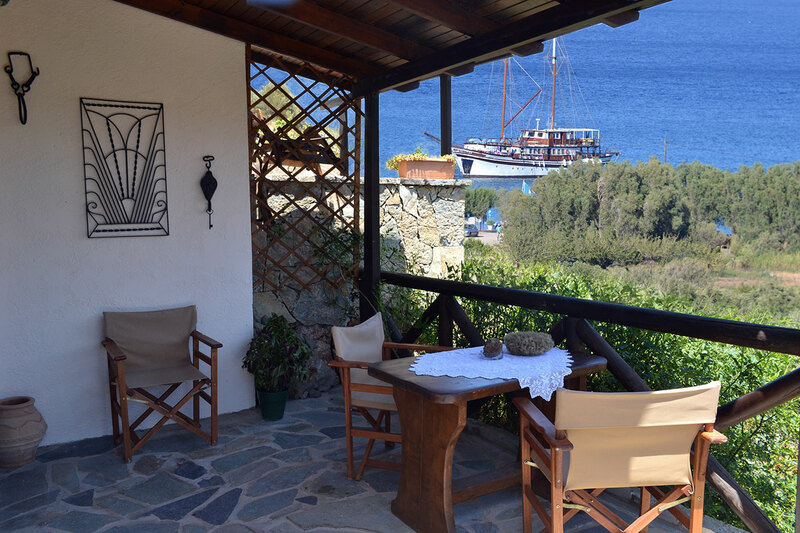 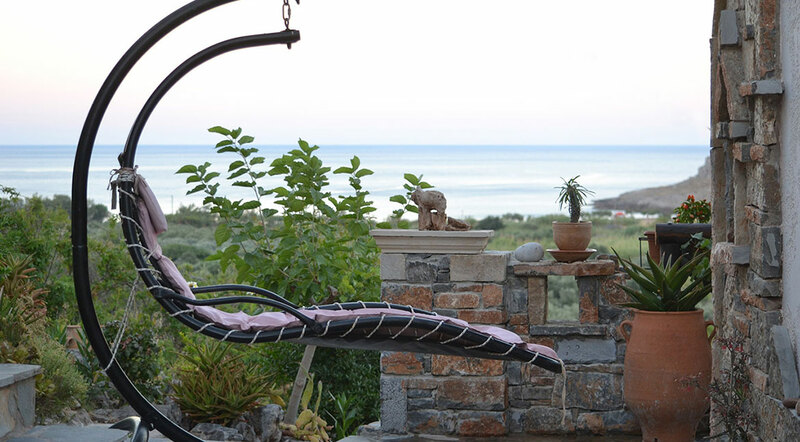 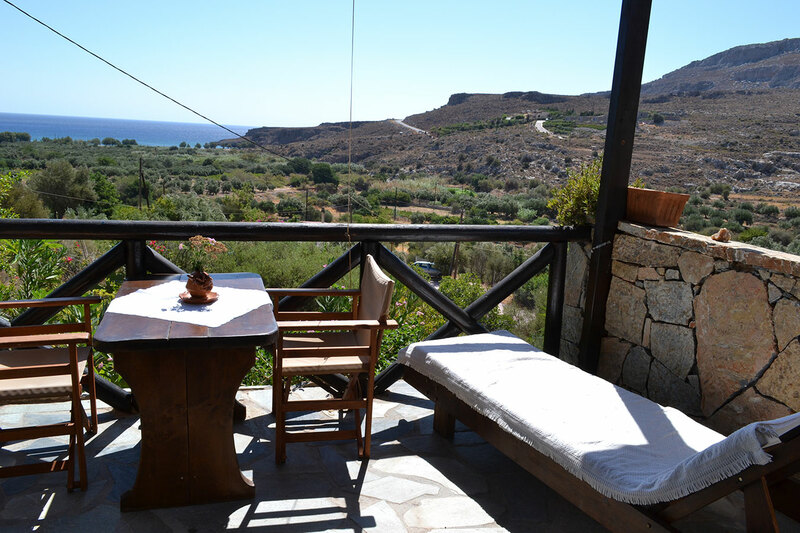 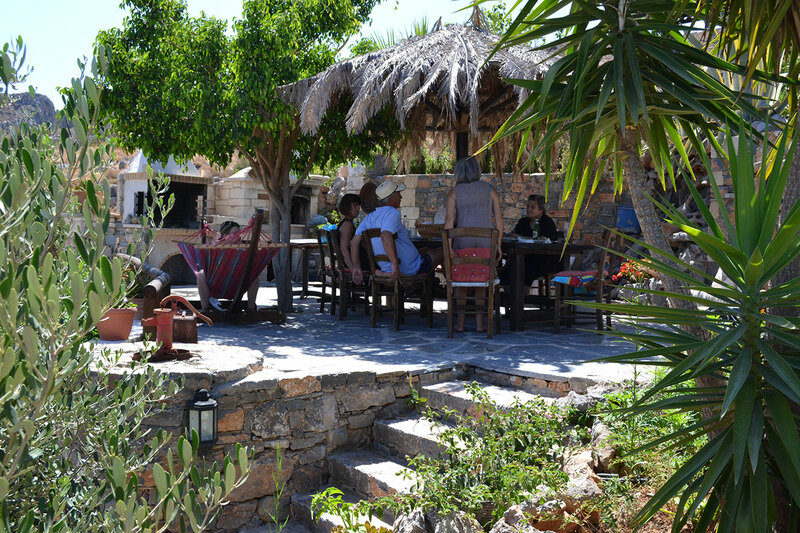 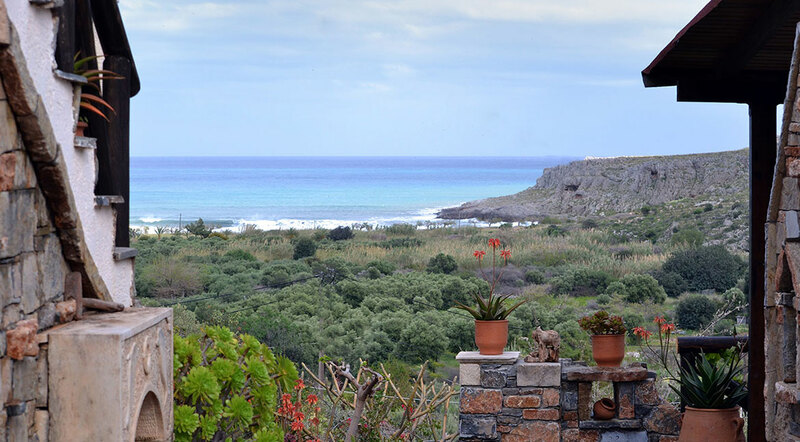 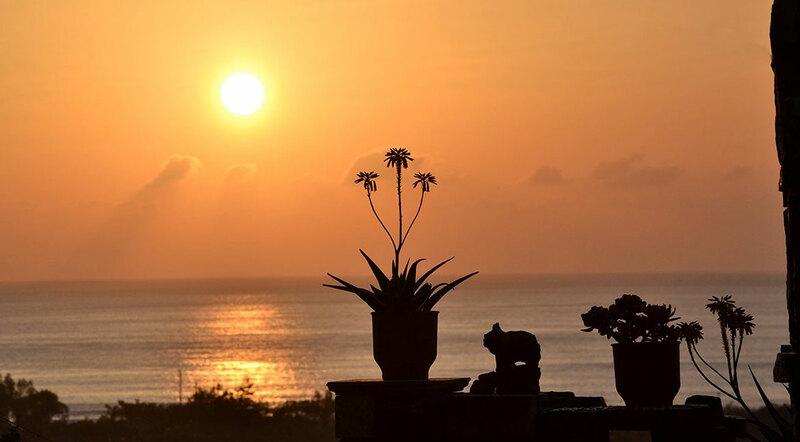 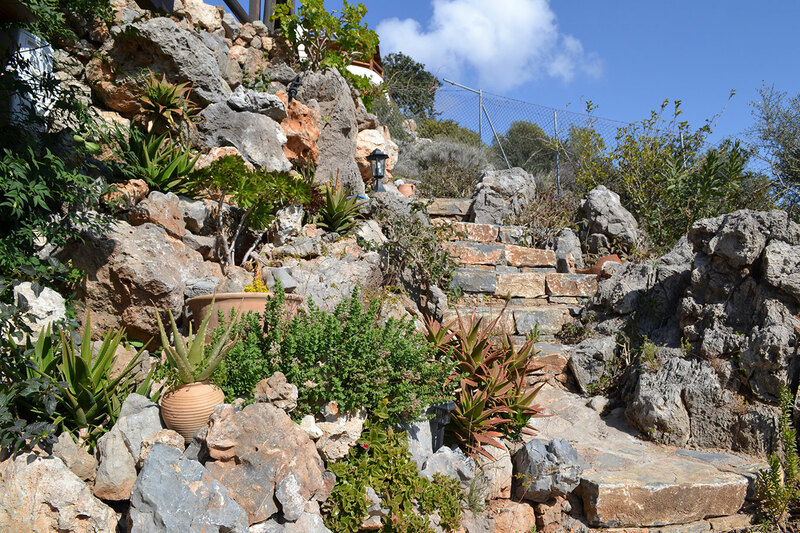 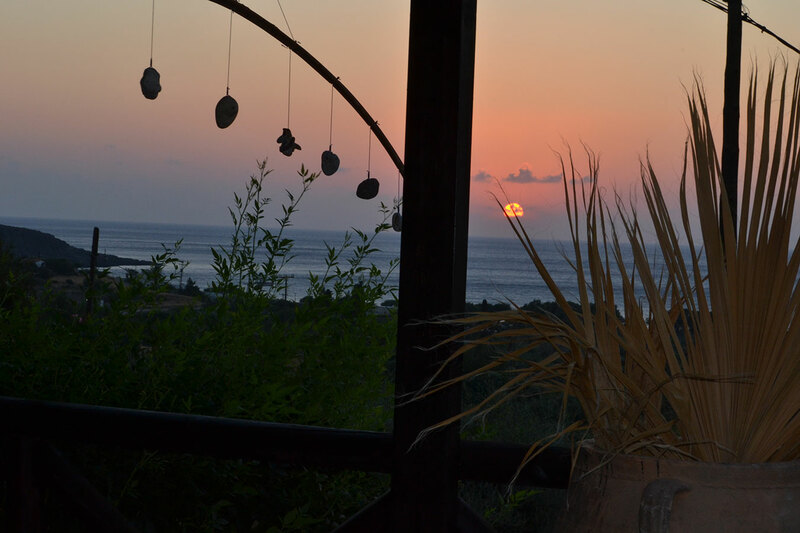 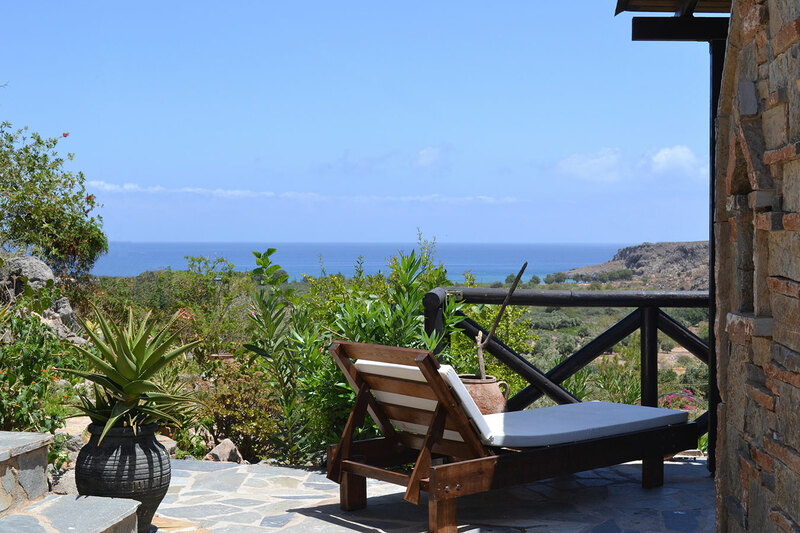 On your veranda you can enjoy the view of the mountains and the sea while relaxing on armchairs and hammocks, which are surrounded by flowers and trees. 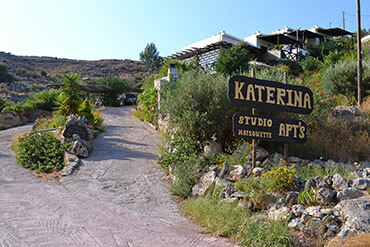 Here in the cool breeze coming through the tall sharp rocks and caves of the gorge, flavoured with the scent of mint, sage and thyme, along with the singing of the birds, come and fall in love with both landscape and people, live your love with your partner, bond as a family, play, have fun and reborn. 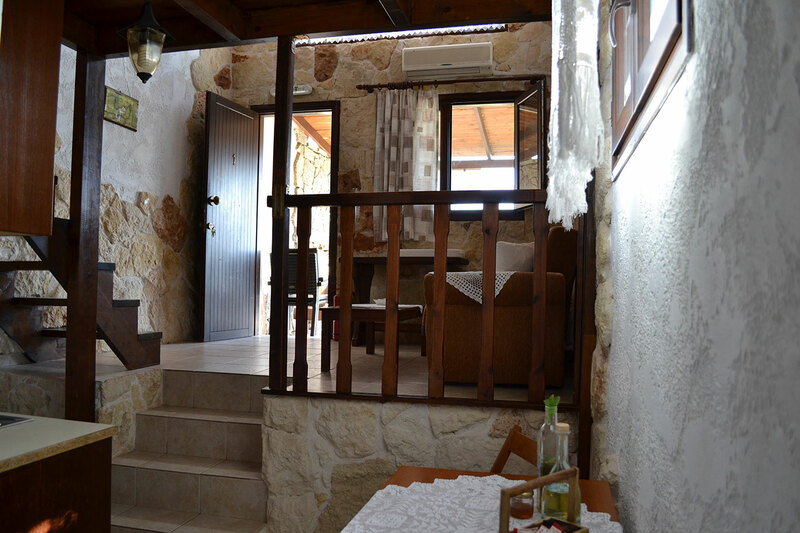 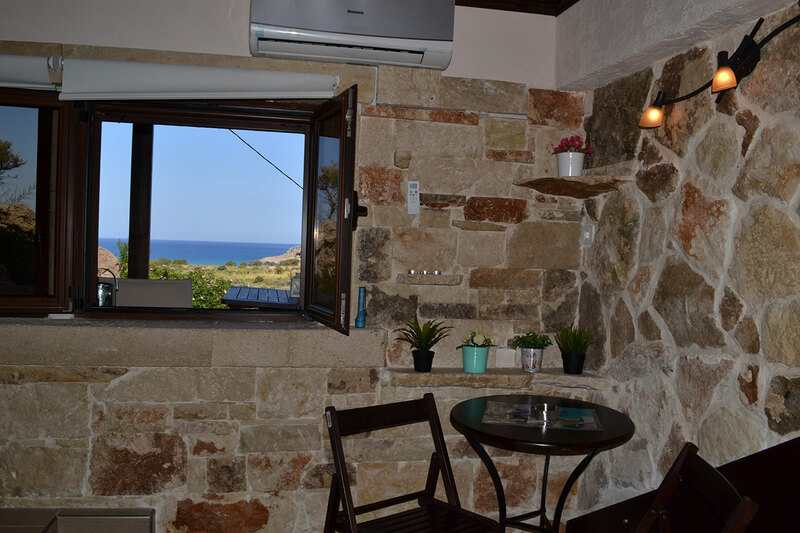 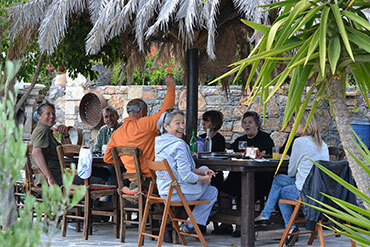 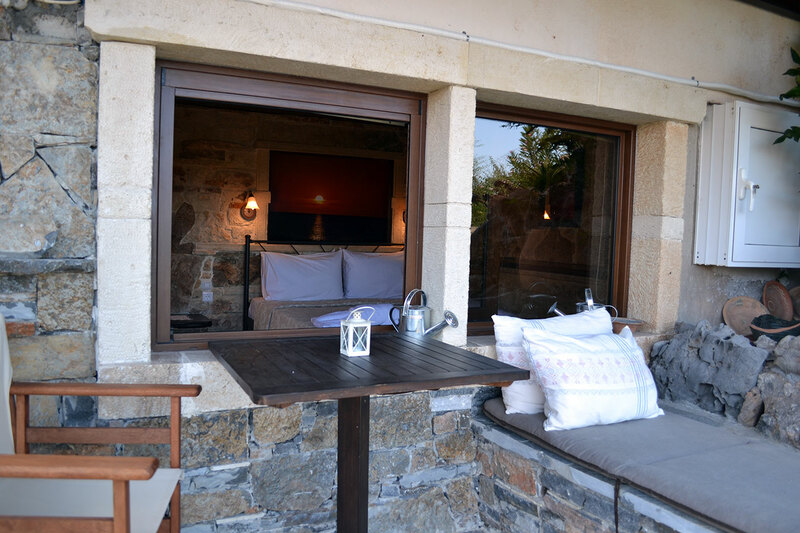 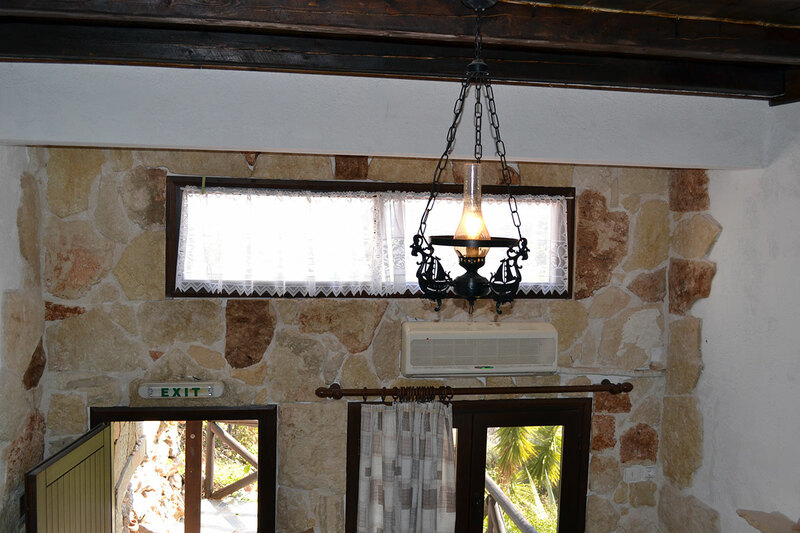 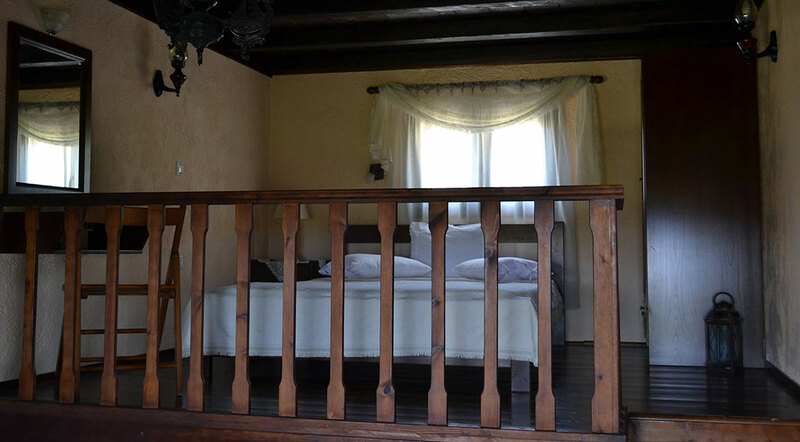 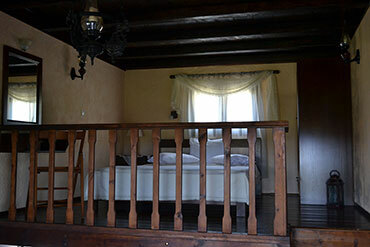 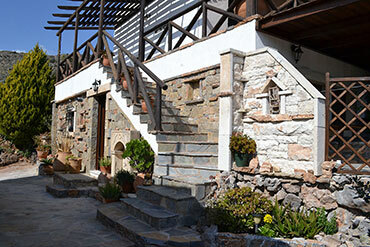 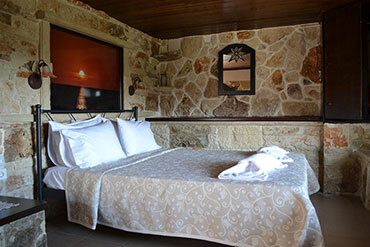 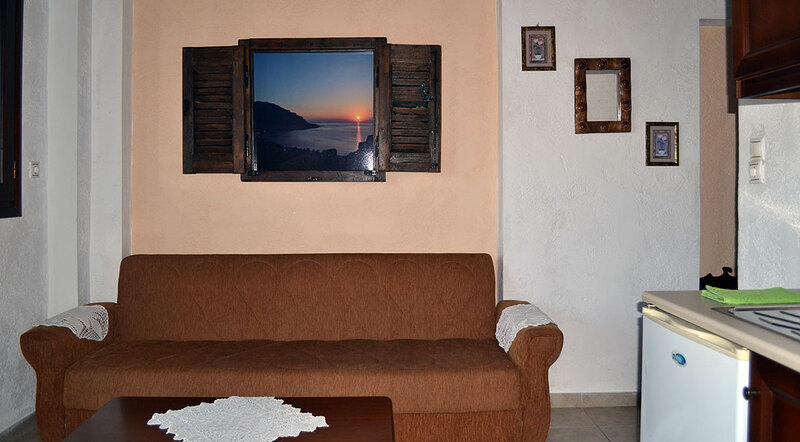 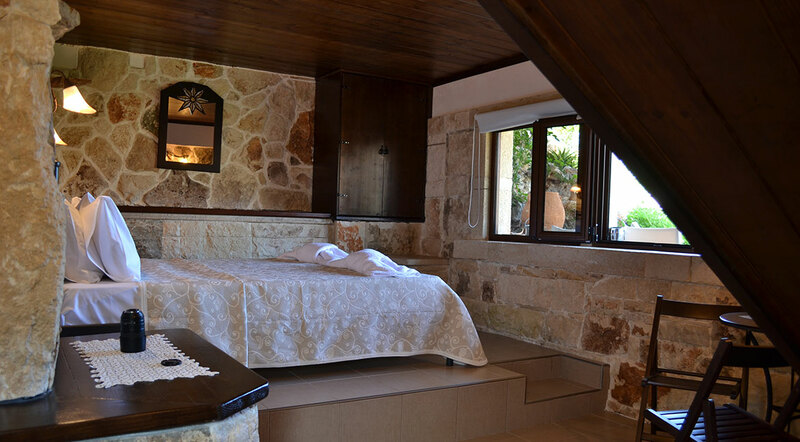 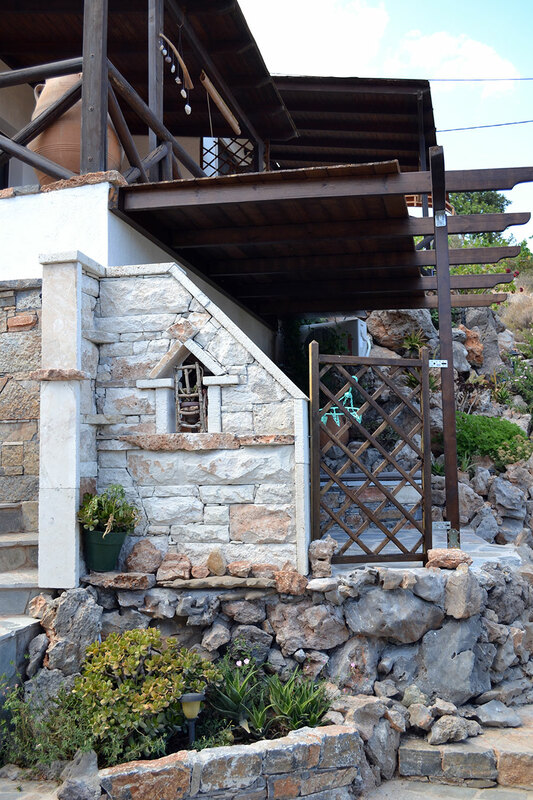 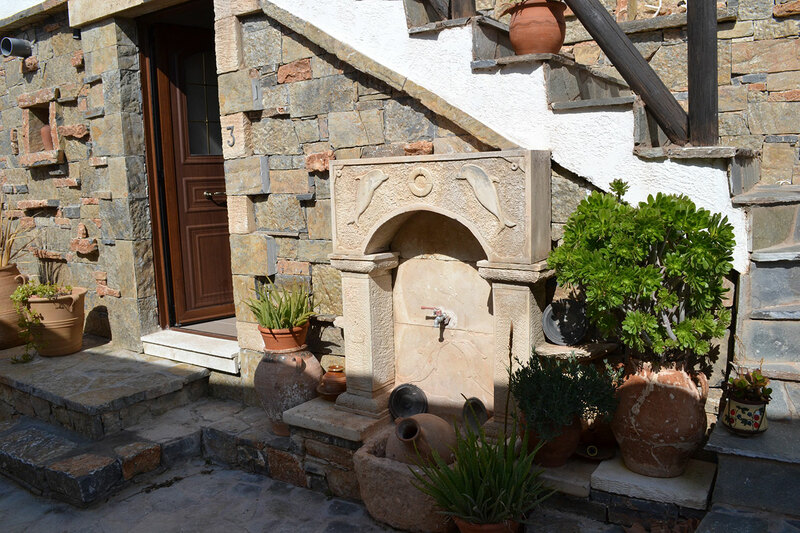 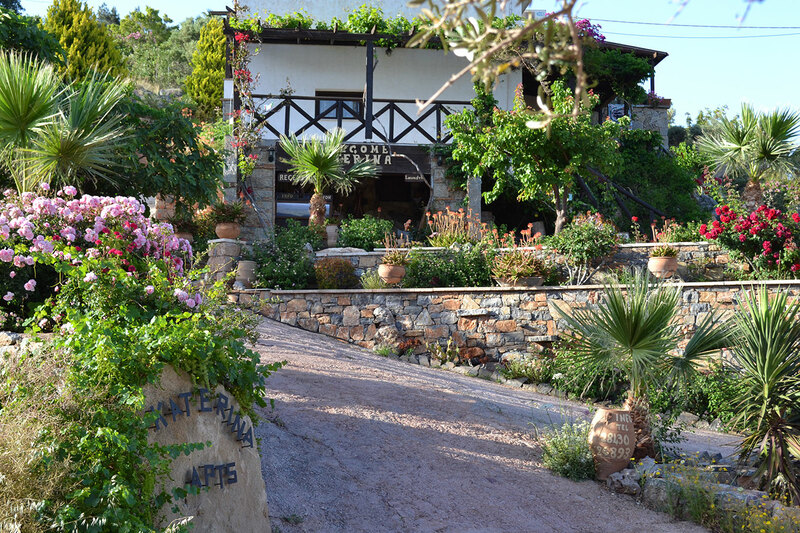 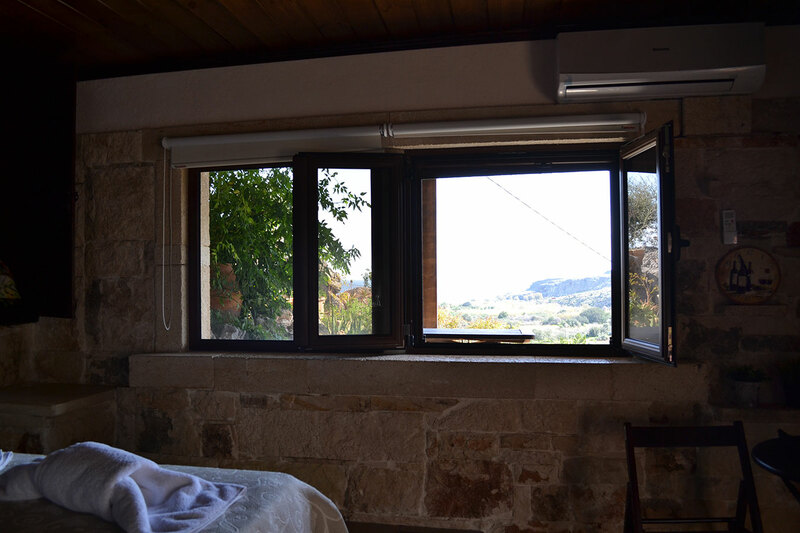 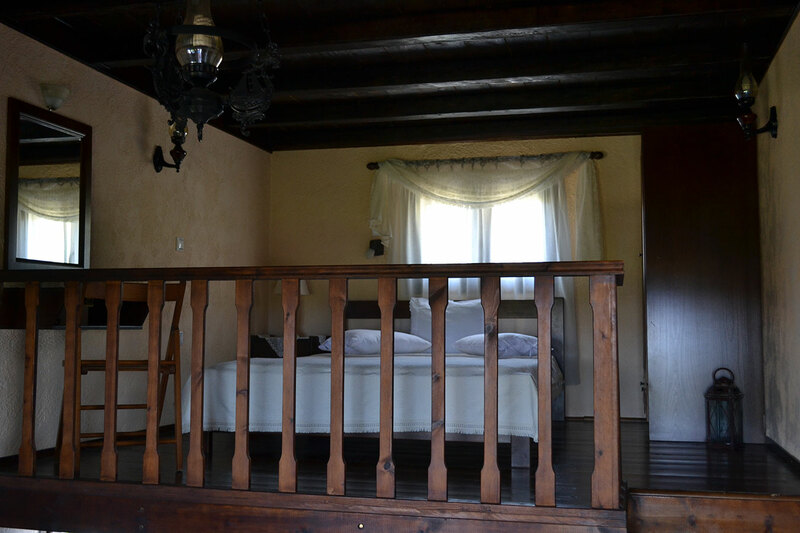 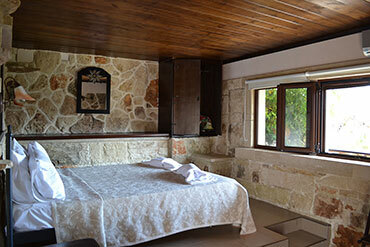 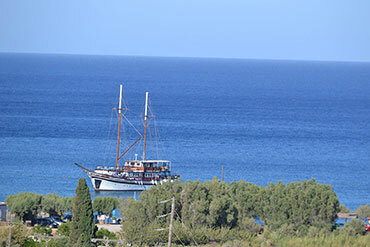 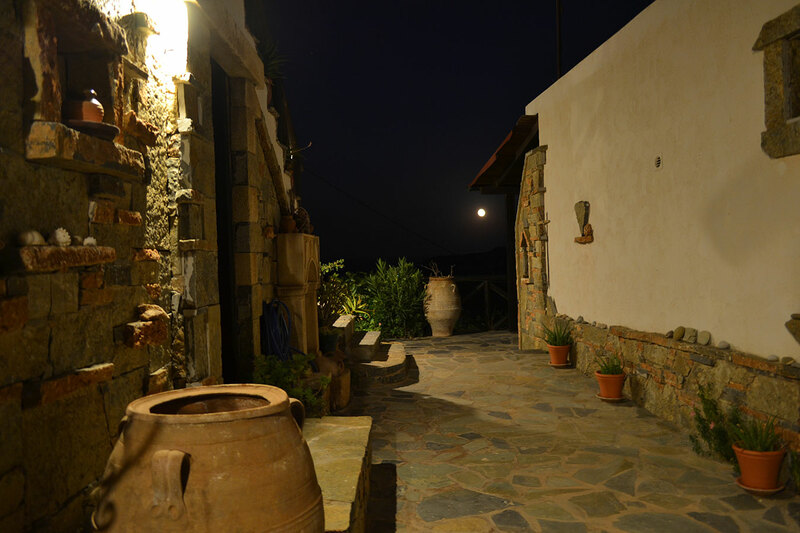 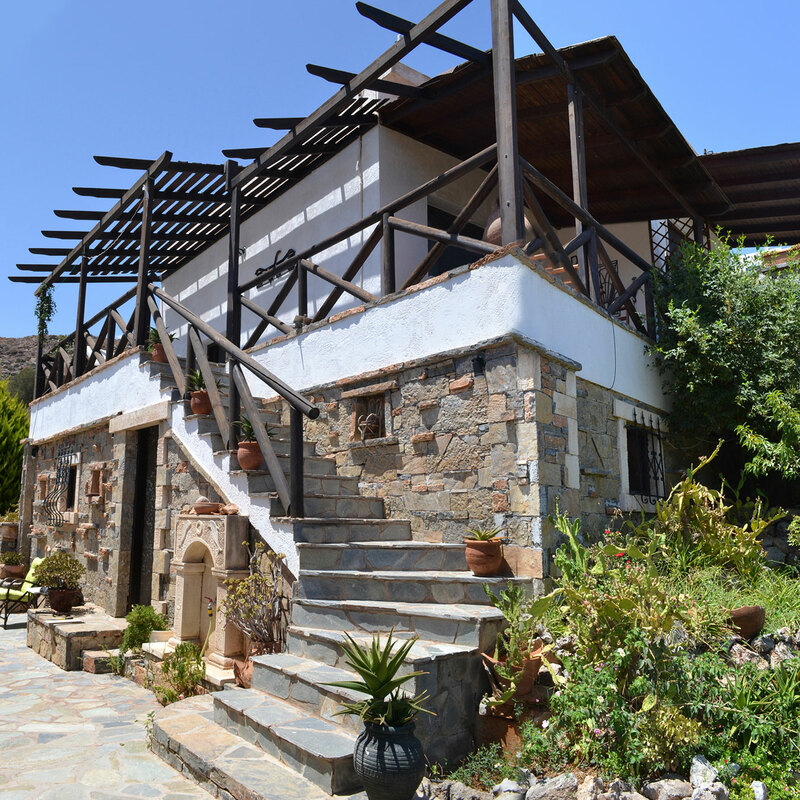 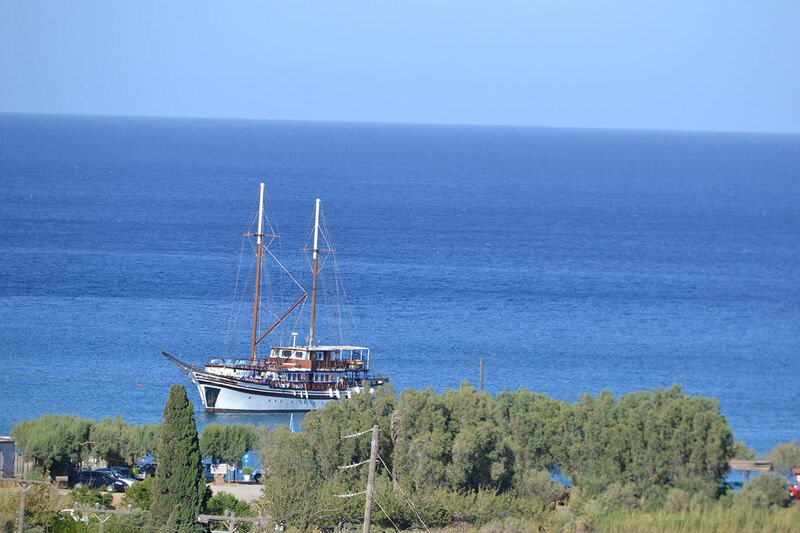 The whole complex is warm and cozy and you will feel as if you were staying in our home, since we are open to discuss with you, to inform you about the region and to offer you coffee and our own raki and wine. 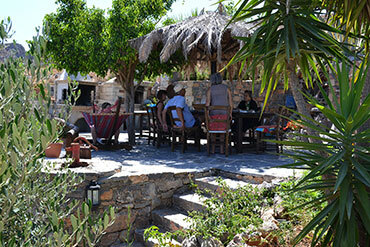 Dear visitors, here is all a dream and is also a reality, come and enjoy. God created Kato Zakros and you have nothing else to do but to grace him with your presence.